What is a compound sentence? What are sub co-ordinating conjunctions? What is a sub-ordinate clause? 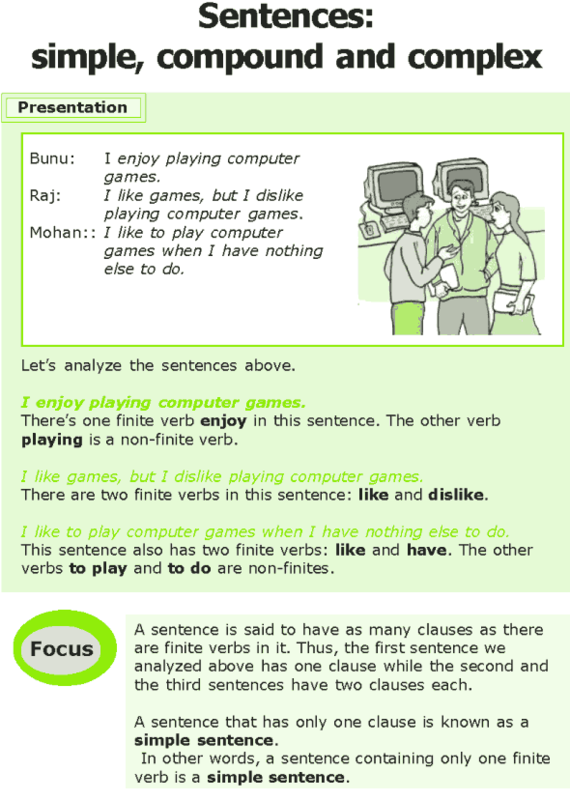 A sentence is said to have as many clauses as there are finite verbs in it. Thus, the first sentence we analyzed above has one clause while the second and the third sentences have two clauses each. A sentence that has only one clause is known as a simple sentence. In other words, a sentence containing only one finite verb is a simple sentence.